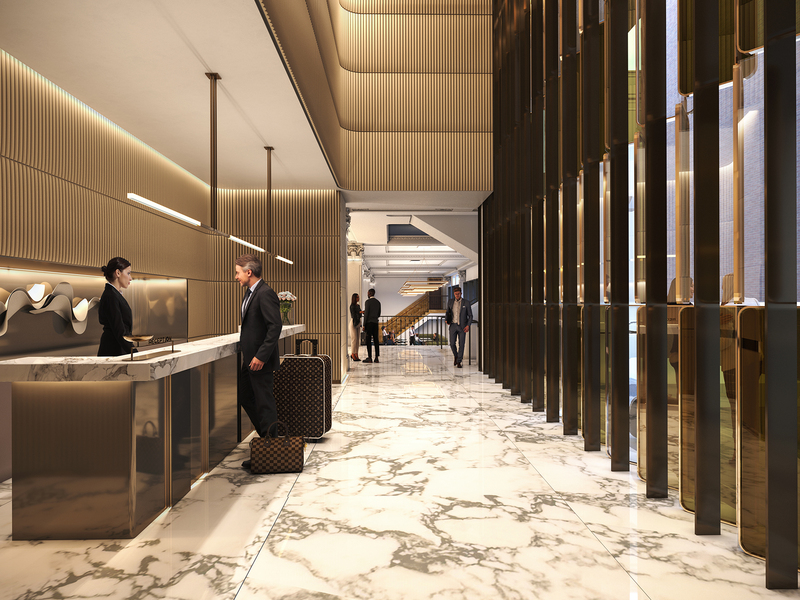 Singapore-based real estate investment group M&L Hospitality has announced that Hilton will make its debut in the Melbourne CBD later this year. The hospitality group is backed by Singapore-based real estate billionaire Michael Kum, whose wealth was originally acquired in shipping. 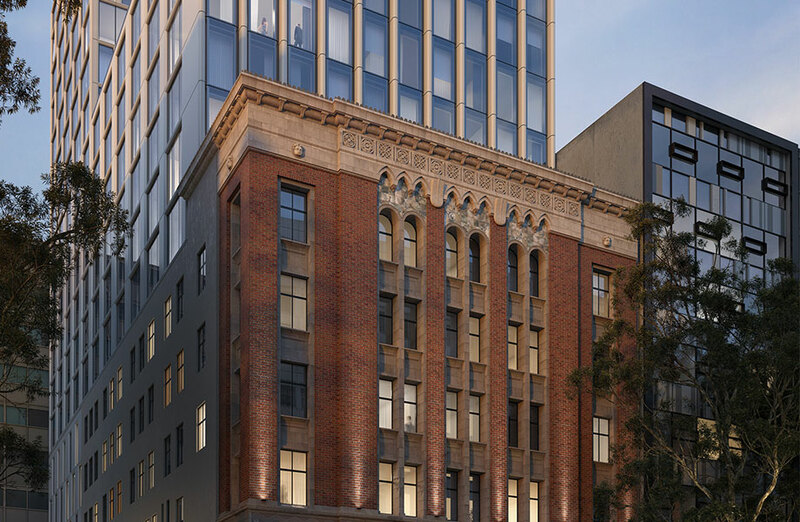 Kum paid $30 million for the heritage-listed Equity Chambers building at 472-478 Bourke Street in June 2017, in an attempt to expand his hotel holdings in Melbourne. Plans were quickly set about for a new Bates Smart-designed 244-room hotel, which is currently under construction, building upon the current five-storey building. M&L's $250 million hotel development will now play host to American hotel chain Hilton, which has been without a location since 2017 when the 396-room Hilton Melbourne South Wharf was rebranded as the Pan Pacific Melbourne. The heritage-listed building, built in 1931 on the site of Melbourne’s first synagogue, has since operated as the longest continuously occupied barrister chambers in Australia. The site, which has changed hands three times in the last five years, has seen two unsuccessful apartment projects lodged, before being bought by M&L and pitched as a hotel offering. • M&L Hospitality purchased the property in 2017, with an existing planning permit taking the building to 17-storeys with 215 apartments. • An amendment to the original planning permit approved in May 2018 changed its use into a hotel and office plus 151 apartments. • New setback controls required M&L to alter plans and remove three hotel rooms from level-five and an outdoor terrace on level-six. Bates Smart director Julian Anderson said the hotel development is an outstanding example of the exotic revival architectural style popular in Victoria during the inter-war period. “We were mindful of the heritage character of the site,” Anderson said. M&L and Bates worked closely with Heritage Council of Victoria to ensure the heritage significance of the building was showcased, restoring key elements to their original 1930s grandeur. The Bourke Street Hilton in Melbourne's CBD, due to open in late 2019, will be the second flagship hotel from the brand in the city, following the 600-room Hilton part of Malaysian developer OSK’s $2.8 billion Melbourne Square project in Southbank. Hilton currently operates the DoubleTree hotel at 270 Flinders Street opposite Flinders Station, as well as three other DoubleTree branded venues in Cairns, Darwin and Alice Springs. M&L currently boasts high-end hotels in Singapore, Australia, New Zealand and Europe largely managed by Hilton, as well as Australia's biggest hotel, the recently enlarged Hyatt Regency in Sydney's Darling Harbour. In Sydney, M&L opened the new 182-room West Hotel, which is managed by Hilton as part of its Curio Collection. M&L Hospitality also owns the Swissotel in Sydney’s Market Street, the Novotel in Perth and the Double Tree by Hilton in Melbourne’s Flinders Street.